This year, more chefs took the main stage than ever before, and Kim Severson of The New York Times served as our Master of Ceremonies. We’re thrilled to share the lineup with you! Chef Nate Appleman, Chipotle: Nate’s soulful cooking has garnered him national praise. 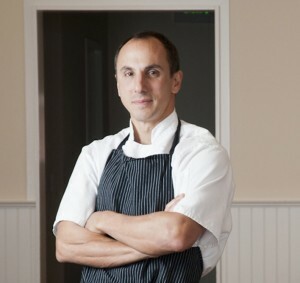 In 2009, he received the James Beard Foundation Rising Star Chef award, the Food & Wine Best New Chef recognition as well as two prestigious book awards from the International Association of Culinary Professionals: Book of the Year and First Book: The Julia Child Award for his cookbook A16 Food + Wine. Most recently, Appleman’s cooking philosophy was recognized by Chipotle founder Steve Ells, who hired Appleman to join the culinary team at Chipotle. This latest chapter in Appleman’s career allows him to continue his belief in making food with great quality ingredients, prepared using classic cooking methods — this time with a much wider reach. 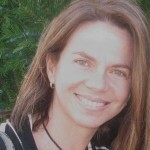 Sara Brito, Chefs Collaborative Executive Director: We’re excited to introduce Sara Brito as the new Executive Director of Chefs Collaborative. Sara joins Chefs Collaborative after consulting with the organization over the past year and volunteering on our Board of Director’s marketing committee for the past two years. Her strategy work was recently featured in The New York Times Magazine cover story, “Broccoli’s Extreme Makeover,” by Pulitzer Prize-winning Author Michael Moss. Prior to this, Sara was the Chief Branding Officer and Director of Community for The Kitchen family of restaurants and nonprofit. In this role, she collaborated with Co-Founders Kimbal Musk, Chef Hugo Matheson and Artist Jen Lewin to create and launch two new restaurant concepts and a national nonprofit in two years – The Kitchen Next Door, The Kitchen Community 501c3 nonprofit and The Kitchen Denver. Sara is also the Founder of “Girls on Fire” a global and local community of women celebrating women + food + drink – everyone from the people who grow it, make it, serve it, photograph it, promote it, and enjoy it – with a mission to unleash the fire that lives inside every woman. 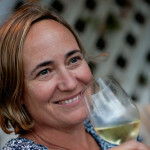 While living in New York City, Sara served on the Board of Slow Food NYC (2003 – 2008), and participated in Slow Food’s Terra Madre in Turin, Italy in 2007. She currently splits her time between Boulder, CO and Brooklyn, NY. Cory Carman, Carman Ranch: Cory Carman spends a lot of time thinking about grass. The flavor, texture and nutritional quality of the beef she sells results from how she and fellow ranchers treat their cows, selective genetics and the unique glacially formed soils of the Wallowa Valley. This combination is the only way to understand the rich “beefy” flavor of Carman Ranch steaks, and the vision– economic, environmental, community and personal – offered by a new generation of land managers. 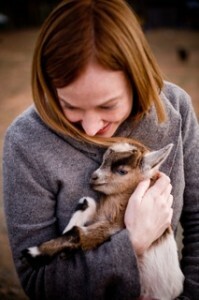 Cory and her husband, Dave Flynn and their three children raise cattle and market 100% grassfed beef to Portland’s most discerning and conscientious chefs and home cooks. 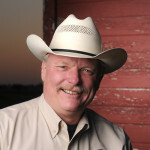 Dave Carter, Executive Director National Bison Association: Dave specializes in developing market-based connections between agricultural producers and customers who value quality and integrity in food and farming. Carter serves part-time as Executive Director of the 1,000-member National Bison Association, where he works to strengthen the marketing systems for North American buffalo. His leadership in the bison industry has been instrumental in expanding consumer demand for bison, which, in turn, is creating the incentive for ranchers to increase the herds of buffalo across the United States. Mel Coleman, Jr., Niman Ranch Vice President Emerging Markets: Mel was raised on a cattle ranch in Colorado’s San Luis Valley. In 1984 Coleman joined Coleman Natural Beef, a company founded by his father, Mel Coleman, Sr., the pioneer of the natural beef industry and the first to establish the standards and protocols necessary to garner the U.S. Department of Agriculture’s first natural label designating beef produced from livestock raised without the use of antibiotics or growth hormones. Prior to working with Niman Ranch, Coleman served as chairman of Coleman Natural Foods, a conglomerate of leading natural meat and poultry companies and the largest producer and processor of fresh and processed natural and organic beef, chicken, pork and lamb products. 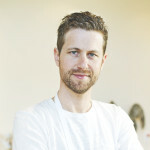 Adam Danforth, Author and Butcher: Adam trained at the professional meat processing program at SUNY Cobleskill, one of the only such programs in the United States, before going to work at Marlow and Daughters in New York City. 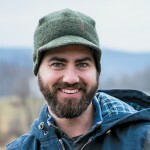 In butchering workshops across the United States, including at the Stone Barns Center for Agriculture, Adam shares his skills with individuals who are slaughtering and butchering for personal consumption. He lives in Ashland, Oregon. Piper Davis, Grand Central Bakery: Piper is an avid baker and cook who inherited her ease in the kitchen from her mother, Grand Central Bakery founder, Gwyneth Bassetti. Piper is the driving force behind Grand Central Bakery’s commitment to sourcing excellent local ingredients. Piper received training in pastry at the National Baking Institute, where she completed the Viennoiserie program. 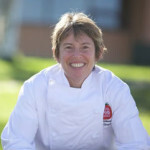 She is a member of the Chefs Collaborative, The Bread Bakers Guild of America, Slow Food and currently she is serving on the national board for Chefs Collaborative. Piper lives in Portland Oregon, with her partner David, where she enjoys riding her bike and skiing as much as throwing a dinner party. Chris Fuller, Chris has worked in food service in some variation for 15 years. A while back, Chris felt that the meat industry is where culinary, community, and environment truly connect. Since then he has chosen to work within the niche meat industry, bringing values of humane handling and quality cutting to his job everyday. He holds an Associates Degree from Johnson and Wales University in Culinary Arts and a BS in Anthropology from Fort Lewis College in Durango, CO. Chris is a member of the Butcher’s Guild and is sure to dedicate time to becoming a better butcher and meat advocate. Bradford Heap, SALT the Bistro: Classically trained at the Culinary Institute of America in Hyde Park, NY, Bradford Heap is a true example of “do what you love.” After graduation, he worked at L’Orangerie in Los Angeles and in San Francisco in the wine country with Gary Danko. He then traveled to France and Italy to train in the Michelin three-star kitchens of Alain Ducasse, Georges Blanc and Carlo Cioni. Here, Brad sharpened his skills and learned the nuances of French and Italian cooking. His time in Europe left a deep impression on him. He has embraced the way European chefs procure and prepare the freshest possible ingredients of the region and the season. Bradford was also the successful chef/owner of the highly Zagat-rated Full Moon Grill and Chautauqua Dining Hall. After selling his interest in both in 2006, he purchased the existing Le Chantecler to create COLTERRA. In September 2009, he opened SALT in the old Tom’s Tavern location in Boulder. He believes that superior taste begins at the farm and is always trying to expand his network of regional growers and purveyors. Michael Heim, Citizen Scientist: Michael’s interest in plants began while attending the University of Nebraska at Omaha, when he took a Horticulture class to satisfy a “hard science” requirement. Around the same time he learned how to forage for wild mushrooms. The passion was “planted”! Since then he has been fusing his passion for spirits and culinary creations with his passion for botany, mycology, and wild foods. 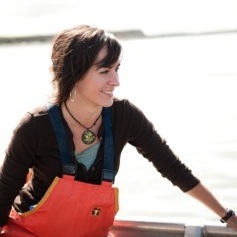 Elizabeth Herendeen, Marketing Director, Bristol Bay Regional Seafood Development Association: Originally from the East Coast, Elizabeth Herendeen has been working to protect our nation’s wild salmon fisheries since 2003. Between 2003 and 2012 she worked for the national conservation group, Trout Unlimited, where she helped found the WhyWild Program as a way to educate and engage salmon consumers in today’s biggest salmon conservation issues. During that time she migrated to Alaska and started the national Savor Bristol Bay campaign, and also served as interim director for Southeast Alaska’s Regional Seafood Development Association and coordinator for the Alaskans Own Community Supported Fishery. In January 2014 Elizabeth joined the BBRSDA as Marketing Director. 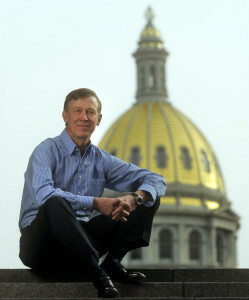 John Hickenlooper, Gov. of Colorado: Governor Hickenlooper calls himself a recovering geologist who once owned a brewpub and was goaded into running for mayor of Denver in 2003. He spent nearly eight years at City Hall before he became governor of Colorado in 2011. Hickenlooper and his team at the state Capitol are working hard to restore faith in good government and leading Colorado out of the nationwide recession. 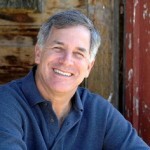 Gary Hirshberg, Stonyfield Farm: Gary Hirshberg is Chairman of the world’s leading organic yogurt producer, and Managing Director of Stonyfield Europe. He is also the Chairman and Founding Partner of “Just Label It, We Have the Right to Know,” the national campaign to label GE foods. 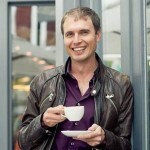 He is co-author of Label It Now – What You Need to Know About Genetically Engineered Foods. 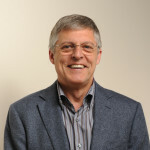 Gary has received 12 honorary doctorates and numerous awards for corporate and environmental leadership including a 2012 Lifetime Achievement Award by the US EPA. 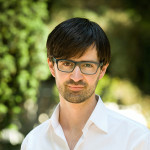 Nathanael Johnson, Grist: Nathaniel Johnson is a journalist who lives in Berkeley with his wife and daughter. He has contributed to magazines such as Harper’s, New York, and Conservation, and to National Public Radio, and This American Life. His first book is: All Natural: A Skeptic’s Quest to Discover If the Natural Approach to Diet, Childbirth, Healing, and the Environment Really Keeps Us Healthier and Happier — it is also a quest for the world’s longest subtitle. 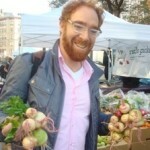 He writes the “Thought for Food” column at Grist.org, and tweets @SavorTooth. 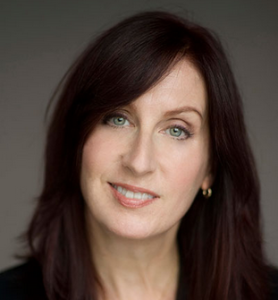 Katy Keiffer, Heritage Radio Network: Katy is a former food service professional, and food publicist. Currently she hosts What Doesn’t Kill You: Food Industry Insights on Heritage Radio Network, a position she has occupied for the last five years. She also writes for Food Arts Magazine, primarily about the meat and seafood industries, and occasionally blogs for the Huffington Post. Jennifer Kuzma, Ph.D., North Carolina University: Jennifer Kuzma joined North Carolina State University in August 2013 as the Chancellor’s Faculty Excellence Program senior hire in the Genetic Engineering and Society cluster. 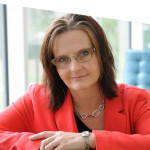 She is the Goodnight-Glaxo Wellcome Distinguished Professor in the College of Humanities and Social Sciences and Professor in the School of Public and International Affairs. Her research focuses on governance systems for emerging technologies, particularly genetic engineering for environmental, agricultural, health and industrial applications. Currently, emerging technologies are moving at a rapid pace, but often societal responses lag behind. Understanding the social-ecological-technological systems and the underlying dynamics can help to guide decisions-makers and the public towards better governance models. With these goals in mind, she explores the values, organizations, and outcomes associated with existing oversight systems in order to inform future policy-making. Bun Lai, Miya’s Sushi: Chef Bun Lai is the Director of sustainability and innovations at Miya’s, the first sustainable sushi restaurant in the world. As the Director of Cooking and Nutrition for New Haven Farms, a non-for-profit C.S.A, he and his team instruct low income pre-diabetics. On his days off, Chef Bun enjoys free diving and foraging in order to provide Miya’s with abundant but underutilized wild and invasive species from his 75 acre ocean farm and his ten acres of over-grown estate. Chef Bun is a 2013 James Beard Foundation nominee. Michael Leviton, Lumiere and Area Four: A seven-time James Beard Foundation Award nominee and recipient of national awards from Food & Wine, Bon Appétit, Gourmet and Saveur, Chef Michael Leviton is dedicated to the simple and pure preparation of local, seasonal and sustainable ingredients.After working alongside some of the world’s best chefs in New York City and San Francisco, including Eric Ripert and Gilbert Le Coze at Le Bernadin, Daniel Boulud at Le Cirque and Joyce Goldstein at Square One, Leviton returned to the Boston area and opened Lumière (1999), a celebrated French-inspired neighborhood bistro in West Newton, and Area Four (2011). Leviton’s firm commitment to sustainability resulted in his 2010 appointment as Chair of Chefs Collaborative. Lachlan Mackinnon Patterson, Chef/Owner, Frasca Food and Wine, Lachlan began his celebrated culinary career at the Old Warson Country Club in St. Louis, Missouri. In 1999, he moved to Paris to obtain his Certificate d’Aptitude Professionnelle at the renowned Ecole Gregoire-Ferrandi. He then went on to apprentice under Benoit Guichard at the famed Jamin, a two-star Michelin restaurant praised for its classic French cuisine. Mackinnon Patterson continued to hone his culinary skills working with chef/owner Guy Guilloux at La Taupiniere in Pont Aven, Brittany. After moving back to the U.S. in 2001, he worked at The French Laundry, Thomas Keller’s renowned restaurant in Yountville, California. It was there that he met his current business partner, Master Sommelier Bobby Stuckey. With the vision of opening a neighborhood restaurant reminiscent of the Italian frascas they had visited in Friuli-Venezia Giulia, Mackinnon Patterson and Stuckey opened their first restaurant, Frasca Food and Wine, in August 2004 in Boulder, CO. Mackinnon Patterson’s food is heralded by many as the best in Colorado, and he’s earned several awards for his inventive menu. 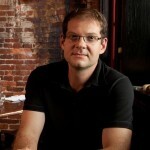 Evan Mallett, Black Trumpet Bistro and Joinery Restaurant: In March of 2007, Evan and his wife opened Black Trumpet Bistro in Portsmouth, NH. The restaurant’s name was inspired by a particularly delicious mushroom Evan found while foraging. Mallett’s connection to local food sources and his love of Latin and Mediterranean cuisines continues to inspire him daily. 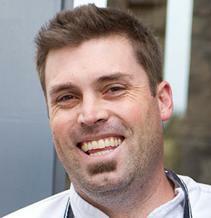 In 2011 and 2013 Evan was named as a James Beard semi-finalist for Best Chef, Northeast. 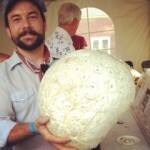 In addition to serving as a Board Member of Chefs Collaborative, Evan is actively involved and sits on the boards of Slow Food Seacoast, and the Heirloom Harvest Project, an initiative to join farmers, chefs and educators to identify and restore a food system native to the greater NH Seacoast. 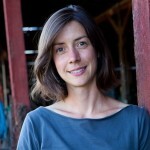 Maryn McKenna: Maryn McKenna is a journalist who writes about public health, global health and food policy, primarily for Wired and National Geographic but also for Modern Farmer, Slate, Nature and The Atlantic, among other places. 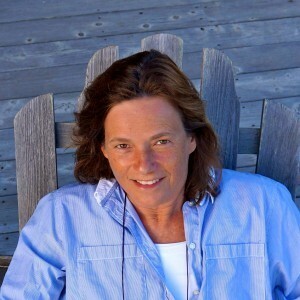 She is the author of the award-winning books SUPERBUG, about antibiotic resistance, and BEATING BACK THE DEVIL, about the CDC, and is working on a new book about antibiotics and agriculture. She is obsessed with French cheese and Asian condiments, and lives primarily in Atlanta and sometimes in Maine. 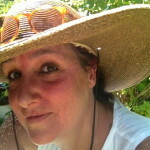 She is on Twitter as @marynmck. 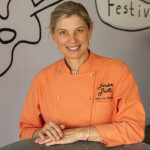 Chef Mary Sue Milliken, Border Grill Restaurants: a pioneer of world cuisine since the creation of City Café and CITY Restaurant in Los Angeles in the 1980’s, chef Mary Sue Milliken is most notably recognized as a preeminent ambassador of modern Mexican cuisine with her Border Grill Restaurants (Santa Monica, Downtown Los Angeles, Las Vegas) and Truck.Mary Sue has co-authored five cookbooks, co-stared in nearly 400 episodes of the Food Network’s “Too Hot Tamales,” and co-hosted a food centered radio show for over a decade in Los Angeles. 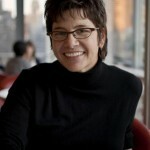 Mary Sue has served as a fundraiser, board member and advocate of Share Our Strength since 1987 and also serves on the Board of Trustees for the James Beard Foundation. She is passionate about food policy, working alongside the LA Food Policy Council, PEW Charitable Trusts, OXFAM, Monterey Bay Aquarium and others to help shape sustainable food systems. Michel Nischan, CEO, Founder and President of Wholesome Wave: as the son of displaced farmers, grew up with a great appreciation for local agriculture and those who work the land. He translated these childhood values into a career as a James Beard Award-winning chef, author and restaurateur, becoming a catalyst for change in the sustainable food movement.A lifetime Ashoka Fellow, Michel serves on the Board of Trustees for the James Beard Foundation, and The Rodale Institute. 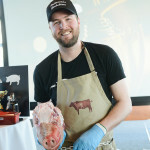 Chef Nick Pihakis, Jim ‘N Nicks BBQ: Nick is one of the brainchilds behind the Fatback Pig Collective, a collaboration that supports regional production of heritage breeds and the ranchers who humanely raise them. This collaboration will increase access and provide pastured-raised, high quality, heritage breed pork through our restaurants by working closely with local producers who make the availability of heritage breed pork possible. Jim ‘N Nicks started cooking pork “low and slow” in 1985 when Nick, along with his dad Jim, reclaimed an old dry cleaners on Clairmont Avenue in Birmingham, AL where they opened the first Jim ‘N Nicks Bar-B-Q. Today, with 30 restaurants in 7 states, Jim ‘N Nicks Bar-B-Q has become a Southern institution. Chef Andrea Reusing, Lantern: Andrea collaborates with small farms in her marriage of North Carolina ingredients and Asian flavors at her Chapel Hill, NC restaurant, Lantern. Since opening in 2002 it has been named one of “America’s Top 50 Restaurants” and “best farm-to-table restaurants” by Gourmet, as one of“America’s 50 Most Amazing Wine Experiences” by Food & Wine and as“Restaurant of the Year” in 2009 by The News & Observer. Reusing is the 2011 winner of the James Beard award for Best Chef: Southeast. She serves on the boards of the Center of Environmental Farming Systems, Chefs Collaborative and was recently appointed by Governor Beverly Perdue to the Sustainable Local Food Advisory Council. Reusing’s first book, Cooking in the Moment: A Year of Seasonal Recipes, was named one of 2011’s most notable cookbooks by The New York Times. 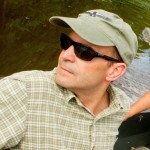 Joe Roman, editor ’n’ chef of eattheinvaders.org: Joe Roman is a conservation biologist and author of Listed: Dispatches from America’s Endangered Species Act, winner of the Rachel Carson Environment Book Award. Joe is a fellow at the Gund Institute for Ecological Economics at the University of Vermont and McCurdy Visiting Scholar at the Duke University Marine Lab. At Duke, he recently taught a class on how consumers can make ethical decisions on the fish they eat; he and his graduate students determined that the best way to promote sustainable seafood is through efforts made by chefs. His research has appeared in Science, Proceedings of the National Academy of Science, Trends in Ecology and Evolution, and other journals. He has written for Audubon, New Scientist, The New York Times, Slate, and other publications. Dan Rosenthal, restaurateur: Dan is a restaurateur with over 45 years of experience, encompassing all aspects of the restaurant industry. He is President of The Rosenthal Group, a company which owns and manages 9 restaurants in Chicago, including Trattoria No.10, 6 Sopraffina Marketcaffès, Poag Mahone’s and Cicchetti, his just opened 3 star Venetian themed small plates concept.For the past 7 years, Rosenthal has devoted much of his time to correcting the huge negative impact that his and other Chicago restaurants have on the environment. All 9 restaurants in The Rosenthal Group have now been certified as sustainable by Green Seal, the nation’s preeminent certifying body for environmentally friendly products and services.In 2007 he founded the Green Chicago Restaurant Coalition, an organization whose mission is to educate Chicago restaurant chefs and owners about sustainability and to bring products and services to Chicago area foodservice operations that are both sustainable and affordable. Rosenthal has also been a passionate advocate for eliminating the non therapeutic use of antibiotics in the raising of animals for food, and has spoken widely on the issue. 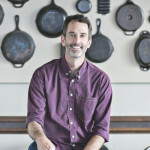 Chef Steven Satterfield, Miller Union: Through his 20 years of experience in restaurants, chef Steven Satterfield has developed strong relationships with local farmers– a connection that came to fruition in his and co-owner Neal McCarthy’s exciting restaurant venture, Miller Union. Satterfield believes in an authentic approach to farmstead-inspired cooking. 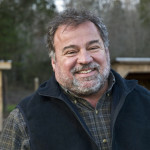 Satterfield is a leader in the progressive culinary community as an active member of Slow Food Atlanta, Georgia Organics, Community Farmer’s Markets, Chefs Collaborative and the Southern Foodways Alliance. 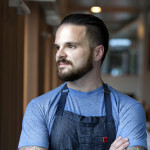 He was also nominated for Food & Wine magazine’s “People’s Best New Chef,” following Miller Union’s placement on the “Best New Restaurants in America” lists from Bon Appetit and Esquire, as well as Atlanta magazine’s “Restaurant of the Year”. The James Beard Foundation chose Steven as a top five finalist for Best Chef: Southeast in 2013 and 2014. Photo credit: Heidi Geldhauser. 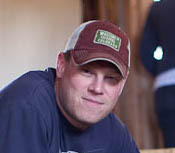 Alex Seidel, Chef/Owner of Fruition Restaurant, Denver, Owner of Fruition Farms Dairy: Born in 1973 in Wisconsin, Seidel began his culinary career at 14, serving as sous chef at Racine’s Main Street Bistro by age 20. During a trip to Colorado’s Vail Valley Alex fell in love with the mountains, and moved to Denver in 2002 and became executive chef at restaurateur Frank Bonanno’s fine-dining flagship, Mizuna. Seidel left Mizuna to launch his own restaurant, Fruition. Denver Magazine called him Chef of the Year in 2009, 5280 gave him that title in 2008, and he has been a semi-finalist for the James Beard Foundation’s “Best Chef Southwest” honor numerous times. Seidel cooked at the 20th Anniversary of “Dinners Across America” and was an opening chef of Aspen’s Chefs Club by Food & Wine. 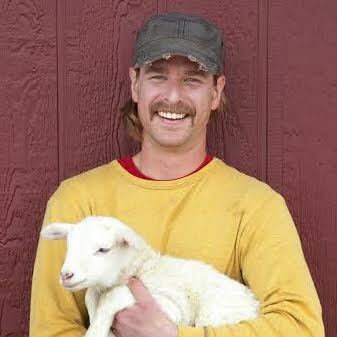 When not cooking at Fruition, Seidel is at his farm tending or milking some 40 sheep. The ricotta from Fruition Farms Dairy won a first place award from the American Cheese Society in 2011. In addition to making cheese, Seidel has planted this 10-acre farm with fruits and vegetables to supply the restaurant kitchen. Mo Siegel, Celestial Seasonings: Mo Siegel is the founder of Celestial Seasonings and currently sits on the Board of Directors for a number of companies in the natural foods sector, including Whole Foods Markets, Wholesome Sweeteners, Chocolove, and Way Better Snacks. Mo runs his own investment business, Capital Peaks. He is also the President of a charitable foundation based in Chicago and operates his own not for profit foundation. Bobby Stuckey, Master Sommelier/Owner, Frasca Food and Wine: During Bobby Stuckey”s five-year tenure at The Little Nell restaurant in Aspen as a sommelier, the restaurant received numerous awards for wine and service, including Gourmet’s “Best Wine Service” Award; Mobile Travel Guide’s Five Star Hotel and Restaurant Rating; Wine Spectator’s Grand Award; and a nomination from the James Beard Foundation for Outstanding Wine Service. In 2000, Stuckey joined world-renowned chef Thomas Keller at The French Laundry in Yountville, California. Within his first year, Stuckey earned the James Beard Foundation’s Outstanding Wine Service Award and San Francisco Magazine recognized him as “Wine Director of the Year.” The French Laundry is also where he met his future business partner, chef Lachlan Mackinnon Patterson. In 2004, Stuckey earned the Master Sommelier Diploma from the Court of Master Sommeliers. 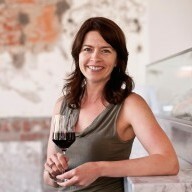 In 2008, Stuckey was nominated by the James Beard Foundation as Outstanding Wine and Spirits Professional. In 2010, 2011 and 2012, Frasca Food and Wine was nominated for Outstanding Wine Service, winning the prestigious award in 2013. Butch Theos, Meeker, Colorado: Angelo “Butch” Theos is a third generation sheep rancher who runs over 4,000 head of sheep with his son Tony Theos, owners and operators of Theo’s Swallow Fork Ranch. Butch is actively involved in the American lamb industry serving on a number of boards including the American Lamb Boards Executive Committee, the American Sheep Industry Associations Executive Board as well as the Colorado Wool Growers Associations Board. 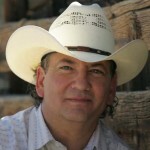 Jeff Tripician, Chief Marketing Officer & Executive Vice President, Niman Ranch: Jeff Tripician has 28 years of consumer marketing and brand management experience in the CPG and Natural Foods Industry. He started his brand management career at Procter & Gamble and help positions with Sara Lee and Borden. As the VP of Marketing for the IDFA, Tripician led the development of the industry changing Milk Mustache Campaign. Over the last 17 years, Tripician has worked with emerging natural foods companies in Colorado including Frontier Natural Products, White Wave, Coleman Natural Meats and for the past seven years – Niman Ranch. 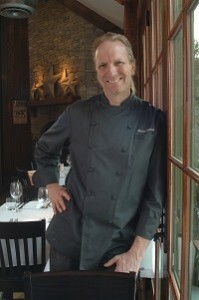 Derek Wagner, Nicks on Broadway and Chefs Collaborative Board Member: At the age of 24, Derek opened Nick on Broadway. Eleven years later, it has expanded from its modest eighteen seat beginnings to its current 55 seat, acclaimed restaurant. Staying connected to the community is paramount to Derek and the philosophy that has come to shape Nicks on Broadway. Starting years ago, Derek has developed and fostered strong relationships with local growers, producers, farmers, fishermen and artisans. His efforts and passions have also lead him to establish on premise herb and vegetable gardens, the planting fruit trees in his near-by yard, and composting for local farms and the following years on-site gardens. Derek has been nominated for The James Beard Rising Star Award twice, been featured on TV’s Food Network several times, written about in Food & Wine, Esquire Magazine, Travel & Leisure, Clean Eating Magazine, The New York Times, The Boston Globe, and The London Independent, to name a few. Nicks has been named “One of the Worlds Best Restaurants” by Fodor’s International Travel Guide for the third year in a row. 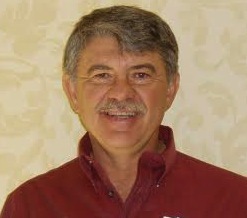 Jim Warren, Cheese Maker/Shepard: It was at Auburn University that Jimmy discovered his passion for food and cooking. His path in food led him to his degree at Johnson and Wales University in Providence, RI. Working with the area?s best chefs, Jimmy used that knowledge to land himself a cooking position at Fruition Restaurant in Denver. His work ethic and bright mind propelled him through the ranks of the kitchen to sous chef within a short period of time. Those same qualities are what made him so valuable at the farm. Without any farming background, Jimmy took to animal husbandry and became the dairy?s first shepherd. As the year progressed, so did his job description. His capacity for learning helped transition the direction of our cheese making procedures and aid in the development of the dairy?s first soft ripened cheese. 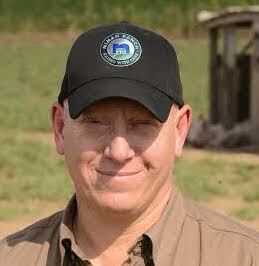 He is now the lead cheese maker at Fruition Farms Dairy, making delicious cheese like the Shepard’s Halo. 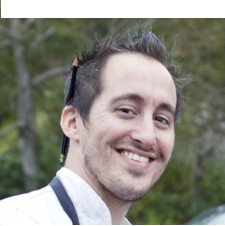 Matthew Weingarten, Sodexo and Chefs Collaborative Board Chair Elect: A longtime advocate of sustainability, Matt brings a strong sense of what he champions to his position as executive chef at Inside Park at St. Bart’s. Growing up in a home where food was the focus of family gatherings, Weingarten cares a great deal about old world sense of ‘place and season’ at the table. He made it a priority to work with chef mentors who are like-minded, and now he is the lead craftsperson in the kitchen where it’s his turn to be the mentor and share with others his thoughts concerning culinary authenticity. Previously he was the chef de cuisine at Peter Hoffman’s Savoy restaurant in New York. Working under the tutelage of one of the country’s forerunners of “locovorism”, seasonal integrity and provenance of the ingredient, Weingarten was greatly influenced by how our choices not only affect our lives in the kitchen, but how they are knitted together into all areas of sustainability for the planet as well. 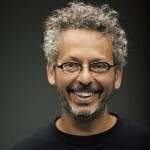 Ari Weinzweig, CEO and co-founding partner of Zingerman’s: The Zingerman’s Community of Businesses (ZCoB) has annual sales of over $45 million and includes Zingerman’s Delicatessen, Zingerman’s Bakehouse, Zingerman’s Creamery, Zingerman’s Mail Order, Zingerman’s Coffee Company, Zingerman’s Roadhouse, Zingerman’s Candy Manufactory and ZingTrain–a consulting and training company that shares Zingerman’s approach to business with like-minded organizations from around the world.Ari is the author of a number of articles and books, includingZingerman’s Guide to Better Bacon(Zingerman’s Press), Zingerman’s Guide to Giving Great Service(Hyperion), and Zingerman’s Guide to Good Eating (Houghton Mifflin). Ari’s newest books are Zingerman’s Guide to Good Leading, Part One; A Lapsed Anarchist’s Approach to Building a Great Business and Zingerman’s Guide to Good Leading, Part Two: A Lapsed Anarchist’s Approach to Being a Better Leader. Have a question about this year’s speakers? Contact Alisha Fowler: alisha@chefscollaborative.org.